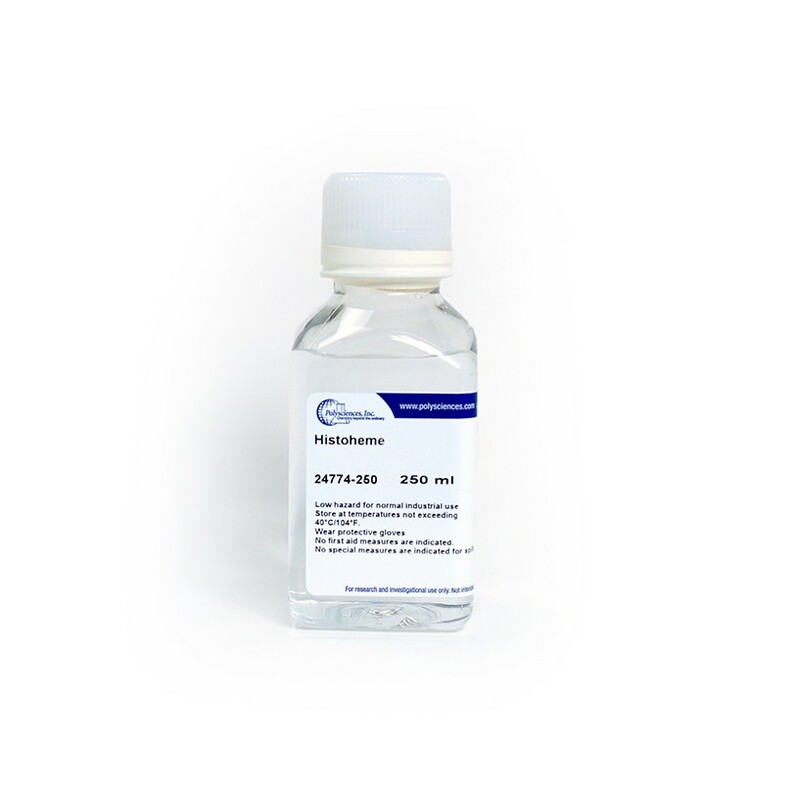 Developed to assist histologists with bloody specimens such as placental fragments, bone marrow biopsies, liver, spleen and endometrial curretings which tend to harden after processing and dry out. These tissues, when set on ice tend to shatter and flake leaving blood fragments all over the work area, microtome, waterbath and have a high potential for creating extraneous tissue “floaters” on slides. Technicians can cut clean, non-fragmented sections without stopping in-between each block with Histoheme.